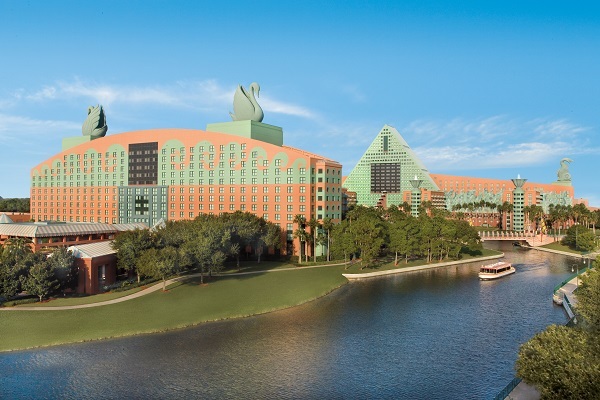 The Swan and Dolphin Resort Hotels at Walt Disney World spark strong opinions among Disney fans and guests. 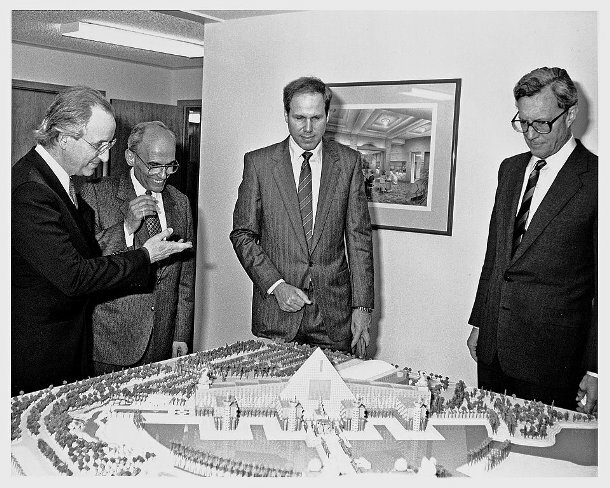 Previously we took a look at the history of these two resorts and explored their start, their construction, and the vision behind each of their famous (or infamous) styles of architecture. 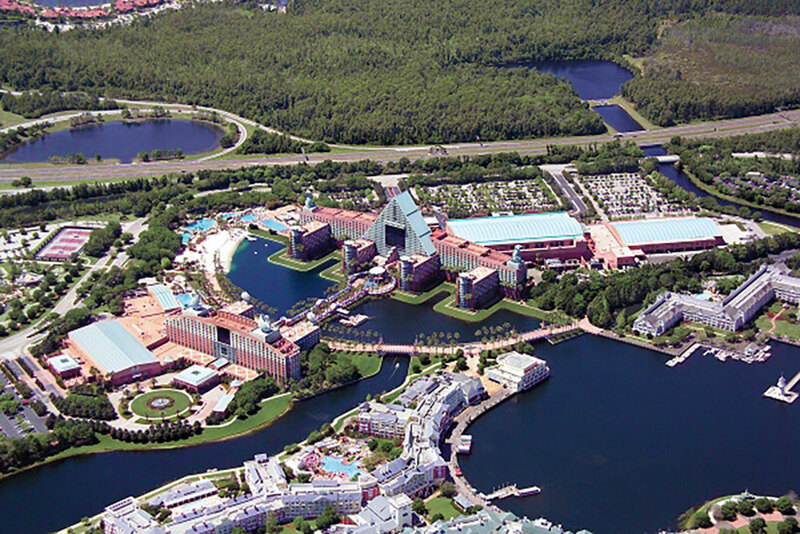 However, there is another aspect to this — and any resort quite frankly — that needs to be explored: the site features and landscaping. The purpose of the site design and landscaping of an area is to transform a space into a beautiful, joyful, pleasing, and welcoming environment. 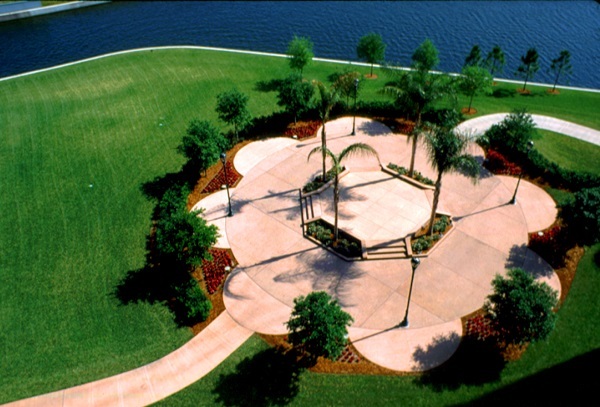 Plants, trees, flowers, green spaces, hardscape features and water features all contribute to bringing a space to life. 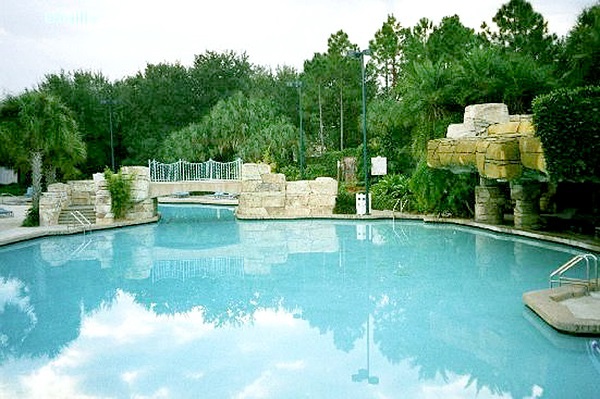 Herbert-Halback, Inc. — a landscape architecture firm in Orlando, Florida who was responsible for the design, site development, and landscaping architecture at Disney’s Animal Kingdom Lodge Resort — was also responsible for the landscape architecture at Disney’s Swan and Dolphin hotels. Frederick “Fred” Halback, Co-Founder and Senior Principal of Herbert-Halback, led the project. 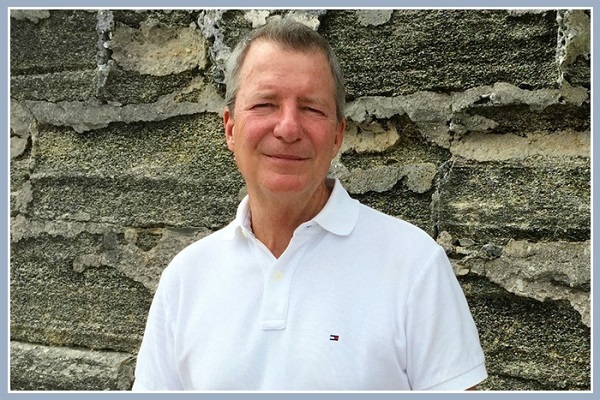 Today the firm is known as Marquis Latimer + Halback, Inc., in St. Augustine, Florida. 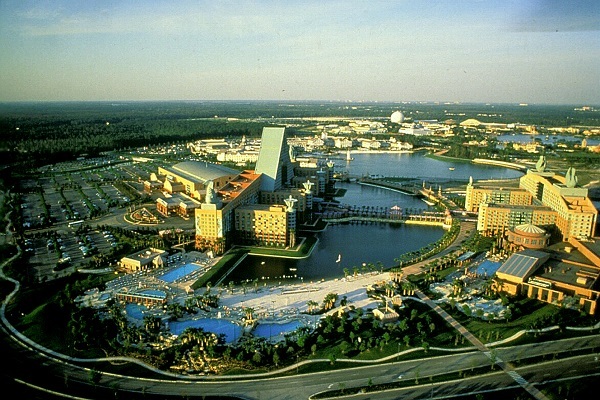 Encompassing 160 acres, the Swan and Dolphin Resorts were actually one of the first projects Fred Halback worked on within Disney, but it was not the first they worked on with the Tishman Realty & Construction Company and Alan Lapidus. In my previous story covering the history of these two resorts, I reported that in the early 1980s, John Tishman won the contract to start building EPCOT Center. It was then he realized Disney’s second theme park would bring considerably more visitors and business to the resort. 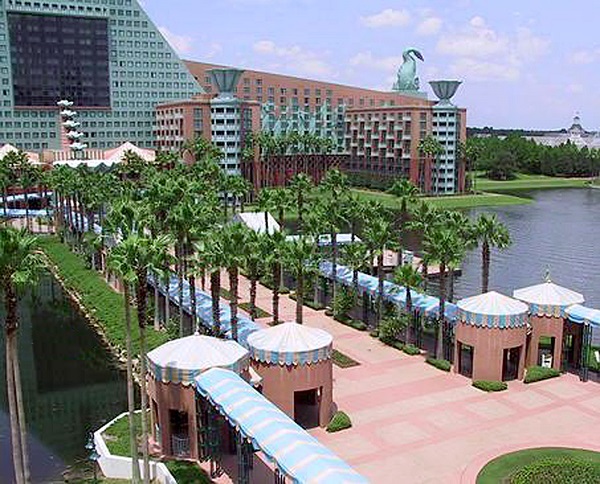 Soon after, Tishman negotiated a favorable lease for a prime hotel in Lake Buena Vista. 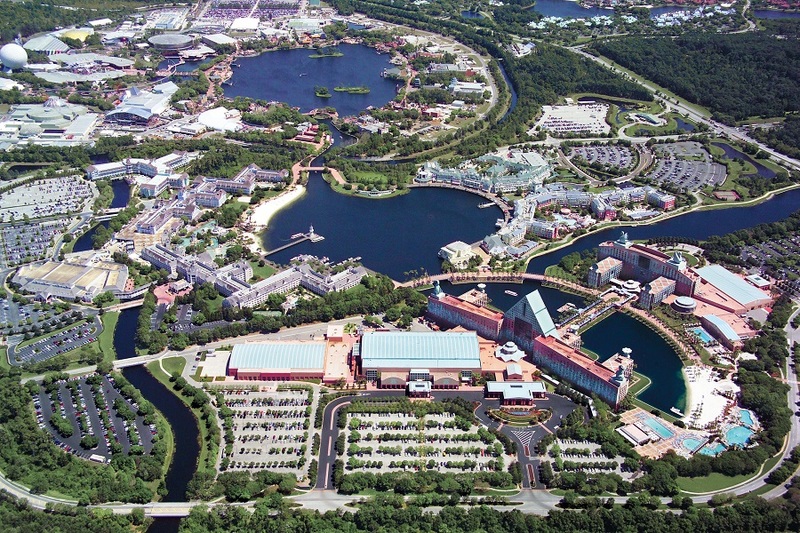 Tishman asked Disney who they liked for an architect; Alan Lapidus was chosen for the job. 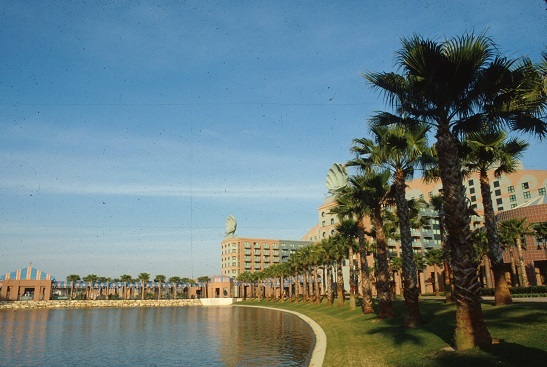 In 1979, Lapidus previously worked with The Walt Disney Company when he was commissioned to build the Mediterranean Village Resort between the Contemporary Resort and the Ticket and Transportation Center. However, after Michael Eisner joined the company as CEO, that project was scrapped. Now, Lapidus was working for Tishman, not Disney, on what would eventually become The Hilton at Walt Disney World (now Hilton Orlando Lake Buena Vista). Fred Halback and his company were chosen as the landscape architects of record for this project. Halback said that Tishman built this 880-room hotel for $88 million and opened the Hilton in one year and a day from when they broke ground. 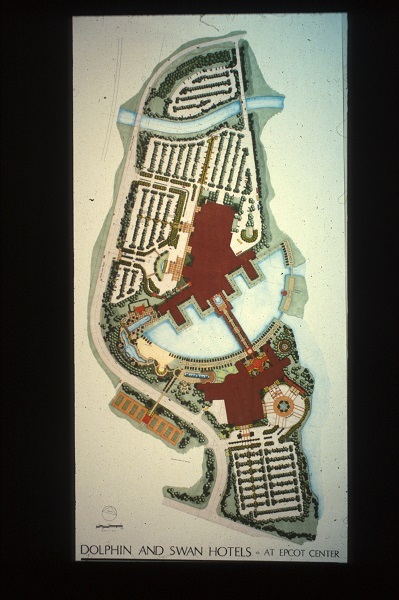 In 1986, Tishman was under the assumption that he was going to build a convention hotel, a Sheraton, at the EPCOT Center Resort. 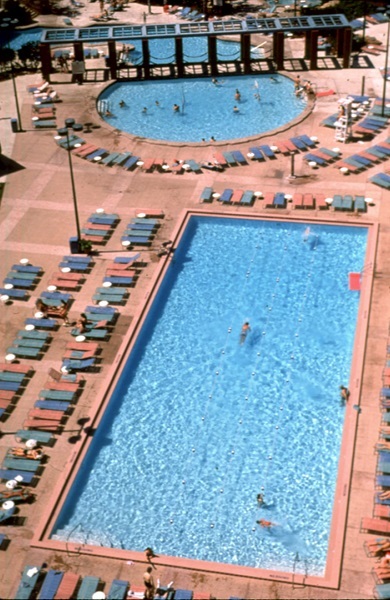 Alan Lapidus was selected as the architect and Herbert-Halback was going to do the landscape architecture. Eisner cancelled all these projects. As a result, Tishman sued Eisner and the Walt Disney Company when he claimed that Eisner and Disney broke an agreement with him about bringing in any outside competitors for 10 years to build and/or operate a convention hotel inside the Disney park. The lawsuit was settled in 1988 and Tishman told Lapidus that he just negotiated to lease two additional hotel sites with Disney execs. The hotels would also include a huge, state-of-the-art convention building. Part of the deal included Eisner being able to choose the architect. Eisner choose Michael Graves as the design architect, but Tishman was allowed to have Alan Lapidus as the architect of record. Herbert-Halback was not automatically brought back on, but was given the opportunity to submit a proposal. 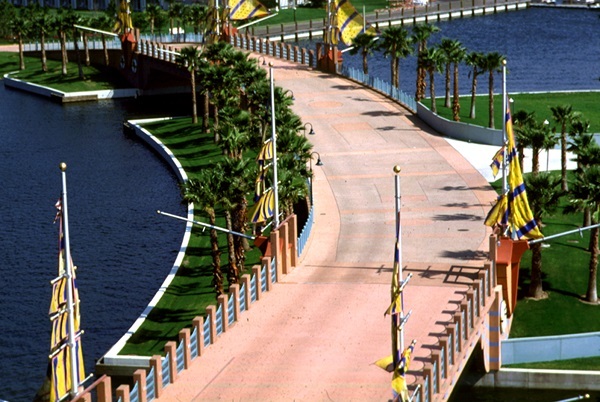 They were eventually chosen to provide the landscape architecture for the resorts. 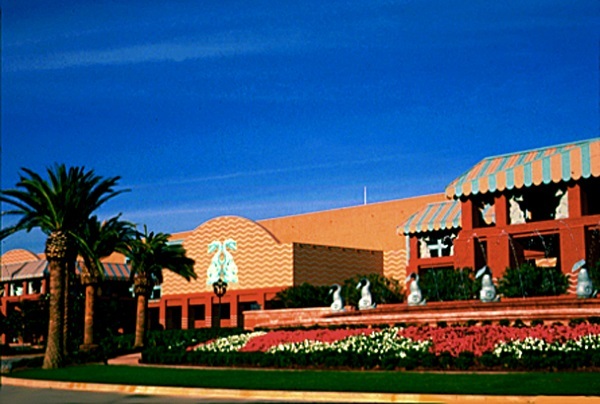 Prior to his visit, Halback said that Graves’s office had sent them “some of the very early bum wad drawings, almost cartoonish sketches that Michael Graves is known for.” What Halback and his team realized was that Graves’s sketches looked to them like a take-off of a variety of different Italian architecture styles. 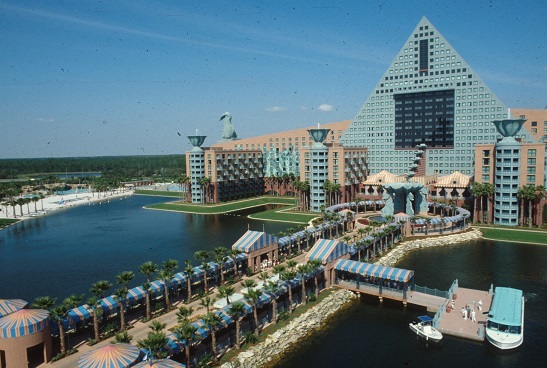 Halback tells this story about the time before all the papers were signed and everyone proceeded with construction drawings, there was a big presentation at the Contemporary Resort Hotel where all the parties were to present their plans and ideas for the Swan and Dolphin hotels. However, because of the recently settled lawsuit and lingering feelings about the old plans and hotels that were scrapped, there was still tension between John Tishman and Michael Eisner. Herbert-Halback were involved all the way through the process not just in the design, but also the construction detailing, the selection of all the planting materials, and the overseeing of the installation for both hotels.